36-year old man who is 2.5 years status post workplace injury with bilateral radial head fractures and surgery for a right wrist fibrocartilage tear. After surgery and post-operative therapy, he initially returned to alternate work at a new company but was unable to sustain the job’s physical requirements and is now seeking alternate work. Steve worked as a forklift operator whose job involved both driving and palletizing of loads in the warehouse. While he can drive, he can no longer perform work that requires repeated or forceful hand exertions and is now seeking alternate work. Steve has the physical capacities to perform work associated with Light physical demands but cannot perform the full range of work associated with Medium physical demands. 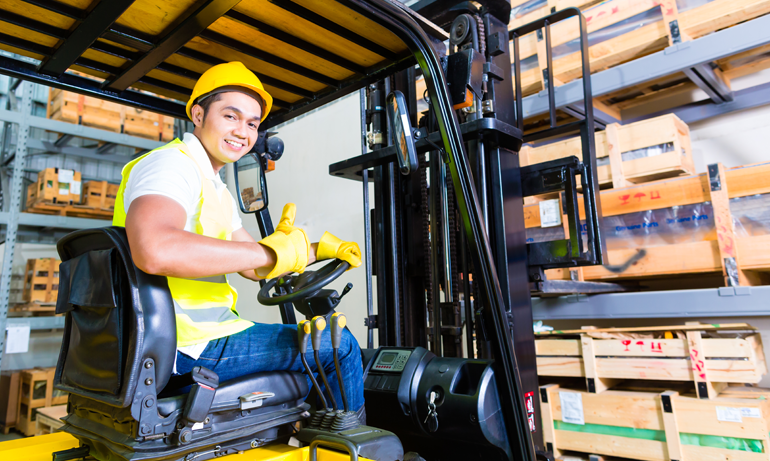 He is able to resume work as a forklift operator, his last post-injury job, when no or only light material handling is required; and to resume work as a light delivery driver without limitations, another post-injury job he has performed that does not require repeated strength exertions. Consideration for Steve’s residual physical capacities will need to be addressed in all future job placements.